The San Francisco Police Department seeks Level I, Level II, and Level III Reserve Officers. Officers work primary with another officer in a variety of assignments. Level I officers will be allowed to work alone after FTO. San Francisco has ten different district stations and reserve officers will be allowed to select their primary station. 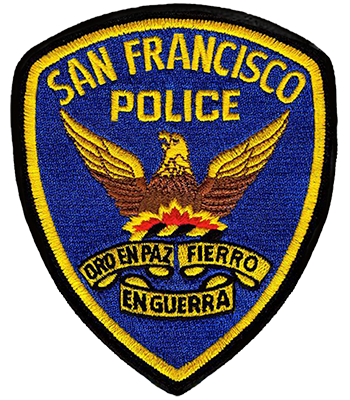 The SFPD offers reserve officers no cost training opportunities within and outside the department. Reserve officers can request any training that is applicable to their duties upon completion of FTO. Reserve officers are deployed to major protests for crowd control duties and during other major events such as New Year’s Eve celebrations. Reserve Compensation: Free uniforms, same duty equipment as regular officers, issued firearm. Reserve Officer Deployment: Reserve Officers, are currently deployed to special events, street fairs, crowd control duties, general law enforcement duties, and patrol. Special Programs: Reserves participate in Fugitive Recovery efforts, DUI checkpoints, security at SF 49er games, kid print programs.